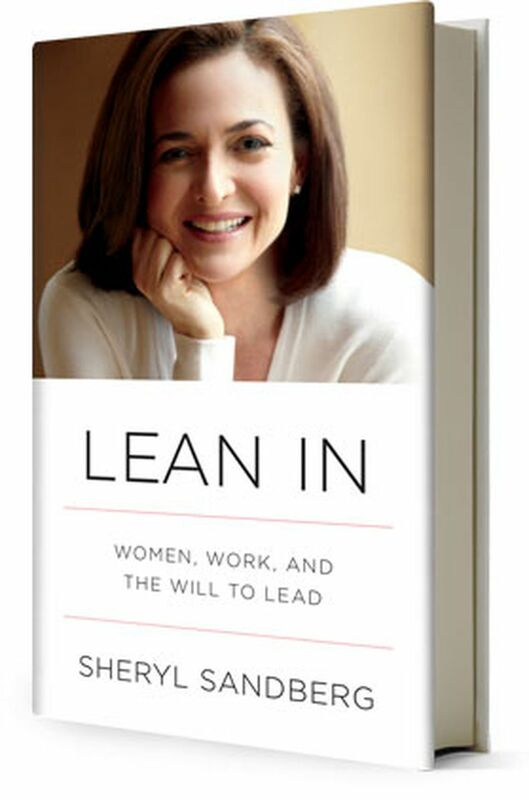 Sheryl Sandberg after her 2010 TedTalk dug deeper into issues that concern women at work in her book Lean In. She writes about what holds women back and why men still hold the vast majority of leadership positions nearly everywhere. She describes specific and practical steps women can take to combine professional achievement with personal fulfilment. Don’t leave before you leave – Without realizing it, many women start making career decisions based on family responsibilities they do not yet have. They turn down projects, don’t apply for promotions, or choose more flexible paths—all to make room for children they don’t yet have, in many cases with partners they’ve not yet met. Don’t fall into this trap, Sheryl writes. Keep as many options open until the moment you need to make a choice. Instead of slowing down for fear of what’s ahead, keep your foot on the gas pedal until you have to make a decision. If you go for it, odds are you’ll end up in a more fulfilling position with more flexibility. And if anyone, including that voice in your head, insists you must choose between work and family, remember that men routinely assume they can have both—and you should too. Sit at the table – Sheryl made this term popular after her TedTalk in 2010. Women tend to underestimate their performance, while men tend to overestimate theirs. And while men attribute their success to innate skills, women often point to external factors like luck and help from others. It’s difficult to change the way you feel, but you can change the way you think and act. When you walk into a meeting feeling insecure, remind yourself that you’ve earned your position. Then take a seat at the table, raise your hand, and surprise yourself. Finding mentors - One of the chapters in Sandberg’s book is aptly titled ‘Will you be my mentor’. Sandberg discourages approaching a complete stranger to ask them to be your mentor. Instead of making such blind requests, she suggests cultivating a relationship first and being excellent at what you do, because mentors will notice and come knocking. So be brilliant at what you do-and the mentor you deserve will find you. Doing it all - Gone are the days of superwoman, or supermom. Studies show that if a woman tries to juggle her career, children, and relationships, then one of those things suffers.Sheryl Sandberg urges women to make their partners real partners instead of trying to do it all. If you need help, seek help.So go on, get your partner to do more. Get a nanny, a petty errand company, a gardener-basically do all you can do so that you can learn to invest your energy in the right places. Negotiate – You won’t get what you don’t ask for, so make it a rule to negotiate. But before you do, understand how stereotypes impact negotiations. We expect men to be assertive and look out for themselves, so there’s little downside when they advocate on their own behalf. In contrast, we expect women to be communal and collaborative, so when they advocate for themselves, we—both men and women—often react unfavorably. How To Take That Career Leap?